This area is packed with great little diners and mom-and-pop restaurants that serve up wonderful breakfasts. Whether you&apos;re a local or here for the weekend, I would definitely recommend visiting one (or all) of these for a filling start to your day. Here&apos;s my top 10 list! Find your own favorites by browsing all the restaurants that serve breakfast here. 1. Marie&apos;s Cafe - For years this has been my go-to breakfast spot. There are no surprises here, just classic and yummy breakfast favorites like pancakes, egg sandwiches, and really good french toast. It&apos;s also comforting to see Marie behind the counter making your food. 2. Diener&apos;s Restaurant - Another go-to of mine, Diener&apos;s has the best granola pancakes. They are ridiculously large but equally tasty. 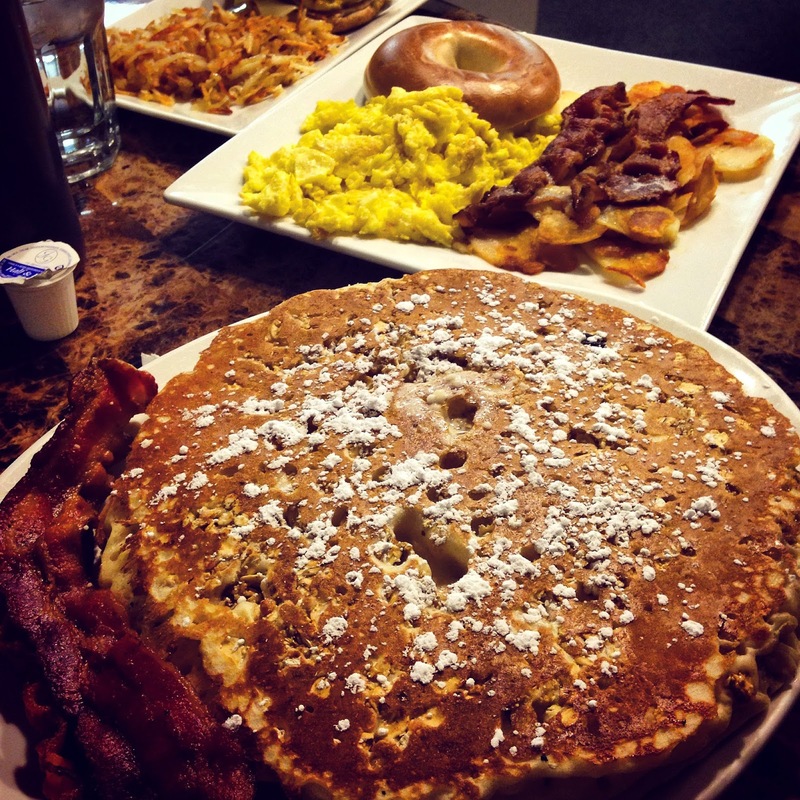 With breakfast served all day, this homey spot is a must stop as well. 3. Fay&apos;s Country Kitchen - There&apos;s a pancake for everyone here! Choices include my favorite, the Hawaiian (coconut and pineapple), peanut butter cup, peach buckwheat, and the list goes on. 4. Cornerstone Coffeehouse - If I want to feel a little healthier, I head to Cornerstone for their homemade granola or an egg white sandwich with avocado and tomato. And, as the name implies, they have really great coffee beverages as well. 5. Pennsylvania Bakery - When I don&apos;t care about being healthy I get breakfast from the PA Bakery. My absolute favorites are the coconut custard danish or the classic eclairs. 6. West Shore Farmer&apos;s Market - This is a favorite of mine because of the huge selection. Whatever you&apos;re in the mood for, you can find it at the market. From mini sticky buns and donuts to real deal breakfast sandwiches from a BBQ place, it&apos;s all good here. 7. Helena&apos;s Chocolate Cafe & Creperie - For something a little different, stop by Helena&apos;s for sweet or savory crepes and fancy baked goodies. 8. Brew Crumberland&apos;s Best - Stop by this spot in New Cumberland for homemade granola or baked oatmeal. If you&apos;re in a hurry they have a convenient drive-thru. 9. Square Bean - Two breakfast highlights at their downtown Carlisle location are the western omelet and the loaded breakfast quesadilla. Or keep it simple with a coffee and scone. 10. Crumbs Cafe - This local favorite in Mt. Holly serves an appetizing breakfast with delicious items like their savory danish featuring egg and bacon baked into the puff pastry or the baked French toast casserole.